Many opportunities are available to support Southwestern College through a planned gift. The college retains an estate planning specialist, John Griffin, who is an expert in establishing trusts and planned giving. His services are complimentary to alumni and friends of the college. Steve '70 and Ruth '67 Monical recently utilized the college's service to complete a document review of their revocable living trust. John makes the experience painless! 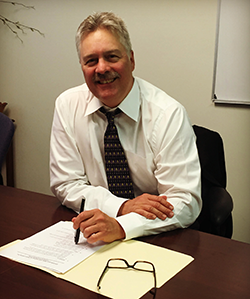 He has a great depth of knowledge regarding estate planning and the various options available to the client. He listens carefully and provides excellent customer service. John is an invaluable asset to the college and the patrons he serves. If you are interested in meeting with John Griffin, please call our office at 620-229-6279. His services are provided at no charge to you and with no obligation to include the college in your estate plans.